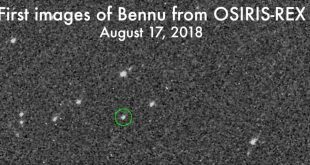 Canada is participating in the NASA led OSIRIS-REx mission to asteroid Bennu. In early December the spacecraft went into orbit around the asteroid. Why are we participating in this mission? 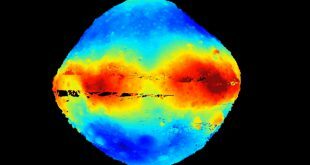 The first results are in from the OSIRIS-REx mission and they couldn’t please researchers more. 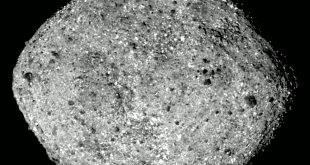 Asteroid Bennu is everything they had hoped it would be based on the data obtained so far. It also has provided a few surprises. Tim Explains: What are Asteroids and Why do we Study Them? 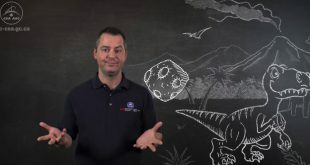 In an ongoing Canadian Science in Space video series, the Canadian Space Agency’s Tim Haltigin explains what are asteroids and why do we study them? 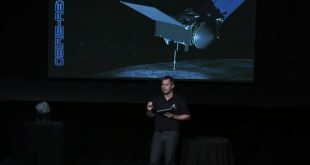 The Canadian Space Agency (CSA) is celebrating World Space Week by holding a series of lectures including this one on the OSIRIS-REx mission to asteroid Bennu. 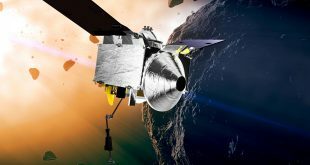 On Friday, August 24th NASA hosted a media teleconference on the OSIRIS-REx mission which will return an asteroid sample to Earth. The OSIRIS-REx spacecraft is now preparing to conduct approach maneuvers as it heads for a December 3rd rendezvous with asteroid Bennu.